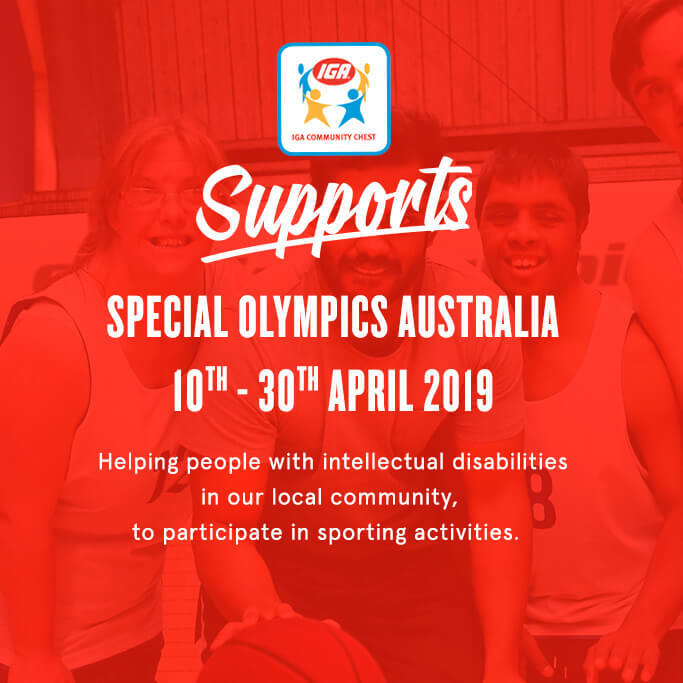 Purchase any product from 10th – 30th April 2019 featuring the IGA Community Chest tickets to help raise funds for Special Olympics Australia.  Look out for the IGA Community Chest logo in-store. 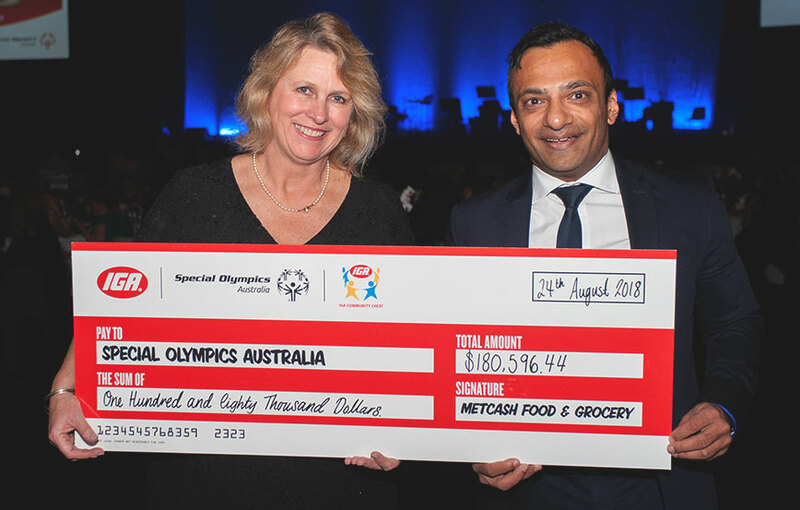 IGA has partnered with Special Olympics Australia since 1992 & helped raise over $1.8 Million. Special Olympics raises vital funds & awareness so that more people with an intellectual disability can access regular sports, quality training and competition and enjoy all the benefits that sport brings. IGA’s support of Special Olympics has enabled athletes compete at local, state and international games, training of volunteers & supporting coaches & purchasing of uniforms & equipment. IGA has been involved with the Special Olympics for over 25 years and to date you have helped us raise more than $1.8 million dollars. We couldn’t be prouder of this partnership and all the athletes this organisation supports! Learn more about Special Olympics Australia. 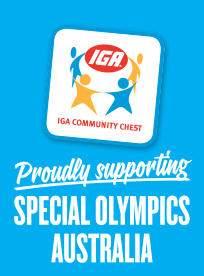 For every product with a Community Chest ticket sold at IGA stores, Metcash Trading Limited will contribute 1 cent to Special Olympics Australia through the IGA Community Chest Trust. For more information, see www.iga.com.au/communitychest, or contact Metcash or the Trust at 1 Thomas Holt Drive, Macquarie Park 2113, 02 9741 3000 and fax 02 9741 3399. Money for IGA Community Chest is raised through a variety of ways and it is something we do all year. When you purchase a product with the IGA Community Chest logo printed on the label a percentage is credited to that store’s IGA Community Chest account (some exclusions apply). Any time is a good time. In most states IGA Community Chest beneficiary cheques are distributed throughout the year. – State beneficiaries are chosen in consultation with the State Executive and Board. Here is a couple of tips on becoming an IGA Community Chest beneficiary. How the donation will be used and your timing. Is there anything you can offer in return to IGA? 1-2c from each product bearing the IGA Community Chest ticket is collected by IGA Community Chest Limited (1 Thomas Holt Drive, Macquarie Park NSW 2113, ph 02 9741 3000, fax 02 9741 3399, www.iga.com.au/community-chest). Between 11th April – 1st May 2018, all funds raised by IGA Community Chest through these products will be donated to Special Olympics Australia.